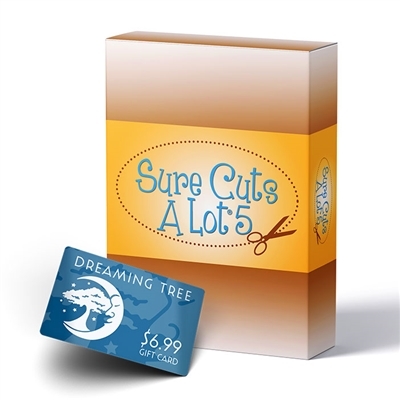 Sure Cuts A Lot 5 (SCAL) On Sale! If you've been considering purchasing Sure Cuts A Lot now is the time to do it! Svgtools has it on sale for $39.99, normally $75, through Cyber Monday. I personally use the program for creating all of the SVG files that I share here on my blog and HIGHLY recommend it, it is a great complimenting program to Design Space as it has MANY more features. You'll also receive a gift card for Dreaming Tree valued at $6.99!